Family Law Glasgow is operated on behalf of Kathleen McCarthy. Kathleen has worked in the legal sector for over 20 years and qualified as a solicitor in 1999. She has a Scots Law (LLB), Master of Law (Medicine, Law and Ethics) and is also a Notary Public. 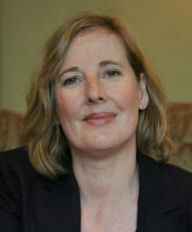 Kathleen works mainly in family law and is a member of the Family Law Association, an organisation committed to resolving family law disputes in as non-confrontational a manner as possible. Kathleen handles every enquiry and case with confidentiality, professionalism and sensitivity and says, "I do genuinely consider it to be a privilege to represent people, whether that is giving them advice generally or standing up for their interests in court." Although based in Glasgow, Kathleen regularly represents clients all over Scotland. Kathleen is highly experienced in family law. This has allowed her to develop years of expertise in this area. She regularly advises and represents her clients in a wide range of family matters, including guardianship orders, divorce, separation agreements, cohabitation agreements, child custody and prenuptial agreements. Kathleen will personally work with you throughout the whole process to help you find a positive outcome for you and your family. Unfortunately, due to changes in the legal sector, many law firms now refuse to, or are unable to, provide family law services under Legal Aid funding. Kathleen can offer Legal Aid where appropriate. Kathleen runs a streamlined practice which allows her to keep overheads low and allows her to offer legal advice and representation at an affordable price. In addition to meeting clients face-to-face, Kathleen is happy to discuss matters by email, phone or Skype to help clients save travel time and money. No matter what family law problem you are facing, you do not have to face it alone. Complete our online enquiry form or call us on 0141 413 0527 . When you contact us, we will be happy to discuss your situation, and provide practical advice on what steps need to be taken in order to address your concerns. We believe it is important to be accessible to our clients. No matter your preferred option of working with us, we will be happy to oblige. Contact our dedicated family law team in Glasgow now to find out how we can help you. Call us on 0141 413 0527 or simply fill out our online enquiry form.